It was the culmination of the 1971 baseball season. Game Seven of the World Series pitted the defending world champion Baltimore Orioles vs. the upstart Pittsburgh Pirates. For the Orioles, it was their third consecutive World Series appearance, losing to the New York “Miracle” Mets in 1969 and defeating the Cincinnati Reds in 1970. It was the first World Series appearance for the Pirates since Bill Mazeroski’s dramatic walk-off home run against the New York Yankees in 1960. In 1971, the Orioles were 101-57, winning the American League East Division by 12 games over their nearest rivals, the Detroit Tigers. Baltimore was led by a strong pitching staff that included a record four 20-game winners. Mike Cuellar (20-9), Pat Dobson (20-8), Jim Palmer (20-9), and Dave McNally (21-5) made up the starting rotation for manager Earl Weaver. The Orioles also had a formidable and balanced lineup with five players hitting at least 18 home runs and four players stealing at least 10 bases. Baltimore’s defense had a well-built reputation of excellence with Gold Glove winners Mark Belanger at shortstop and Brooks Robinson at third base. Between these two players, they would win 24 Gold Glove awards in their career. The Orioles had swept the Oakland A’s in the American League Championship Series, 3-0, to return to the Fall Classic. The Pittsburgh Pirates won the National League East Division with a 97-65 record, besting second-place St. Louis by seven games. It was the Pirates second consecutive division title. The Pirates were led by veteran manager Danny Murtaugh and 31-year-old slugger Willie Stargell’s 48 home runs and 125 runs batted in, and by 36-year-old Roberto Clemente, who batted .341 and recorded 11 outfield assists. Pittsburgh’s pitching staff was led by Dock Ellis, who won 19 games, and Steve Blass, who was 15-8 with a 2.85 ERA. Dave Guiusti led a deep bullpen with 30 saves. Pittsburgh beat the San Francisco Giants in the National League Championship Series, three games to one, to gain entrance to the World Series and a matchup against the heavily-favored Orioles. The first six games of the 1971 World Series were won by the home team. In Baltimore, the Orioles took the first two games, 5-3 and 11-3. When the Series shifted back to Pittsburgh, the Pirates won three in a row, 5-1, 4-3, and 4-0. Back in Baltimore for Game Six, the Orioles staved off elimination with a come-from-behind 10-inning 3-2 victory. Game Seven was played at Baltimore’s Memorial Stadium on October 17. In the second inning, Blass walked Brooks Robinson and then Pirate first baseman Bob Robertson booted Elrod Hendricks’ ground ball to put runners at first and second with one out. But the Pirate hurler induced Mark Belanger to hit into a double play to end the threat. In the third inning, Buford again reached base, this time with a single to right field. However, Blass picked Buford off first base and the Orioles went down quietly. 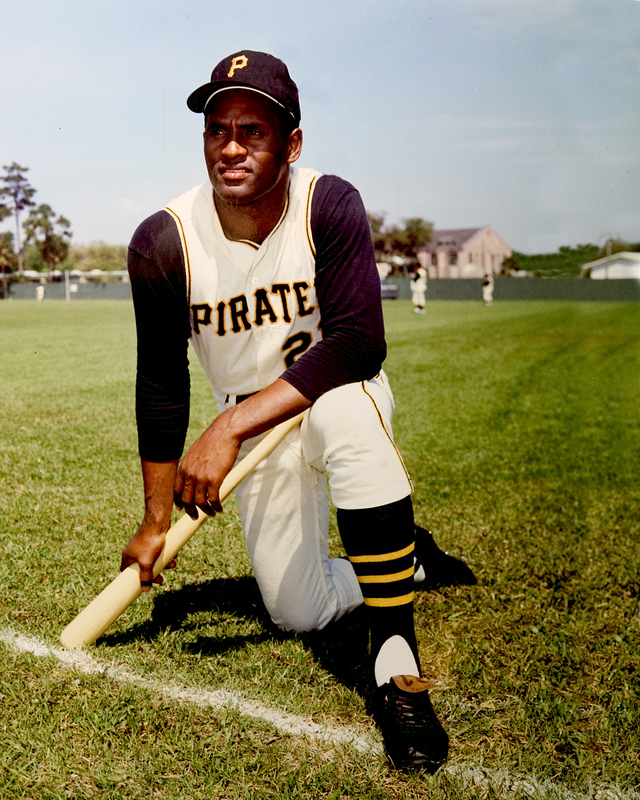 In the fourth inning, after the first 11 Pirate hitters had been set down by Cuellar, Roberto Clemente hit a home run to left-center field to give Pittsburgh a 1-0 lead. Steve Blass settled down over the next four innings, allowing only one base runner — Elrod Hendricks with a one-out double in the fifth inning — during that stretch. Cuellar matched Blass through seven innings, giving up only a leadoff single to Manny Sanguillen in the fifth inning. In the top of the eighth, with a 1-0 lead, the Pirates struck again. Willie Stargell led off with a single to left field. Third baseman Jose Pagan then rapped a double off Cuellar scoring Stargell. The Pirates took a 2-0 lead into the bottom of the eighth inning with Blass looking unbeatable. But in the bottom of the eighth, the Orioles bats came to life. Hendricks singled to lead off the inning and he went to second on a single by Belanger. Tom Shopay pinch hit for Cuellar and sacrificed the runners over a base. With runners in scoring position and just one out, Blass was able to get Orioles leadoff hitter Don Buford to ground out to Robertson at first base. Hendricks scored on the play, but Belanger was left stranded at third base when Davey Johnson grounded out to shortstop for the third out. In the ninth inning, Earl Weaver brought in 20-game winner Pat Dobson to shut down the Pirates. After Dobson retired the first two batters, he gave up consecutive singles to Robertson and Sanguillen. Weaver then brought in another 20-game winner, Dave McNally, from the bullpen to retire Willie Stargell on a groundout to second base. In the bottom of the ninth, Steve Blass was once again masterful, retiring Boog Powell, Frank Robinson, and Merv Rettenmund in order. Rettenmund hit a bouncer straight up the middle and shortstop Jackie Hernandez fielded it and threw to Robertson at first, and the celebration began. The Pirates were world champions for the fourth time in their franchise history. This article appears in "Moments of Joy and Heartbreak: 66 Significant Episodes in the History of the Pittsburgh Pirates" (SABR, 2018), edited by Jorge Iber and Bill Nowlin. To read more stories from this book at the SABR Games Project, click here. 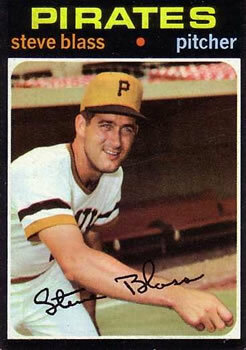 5 Bob Hurte, “Steve Blass,” SABR Baseball Biography Project, http://sabr.org/bioproj/person/27a6a54d.